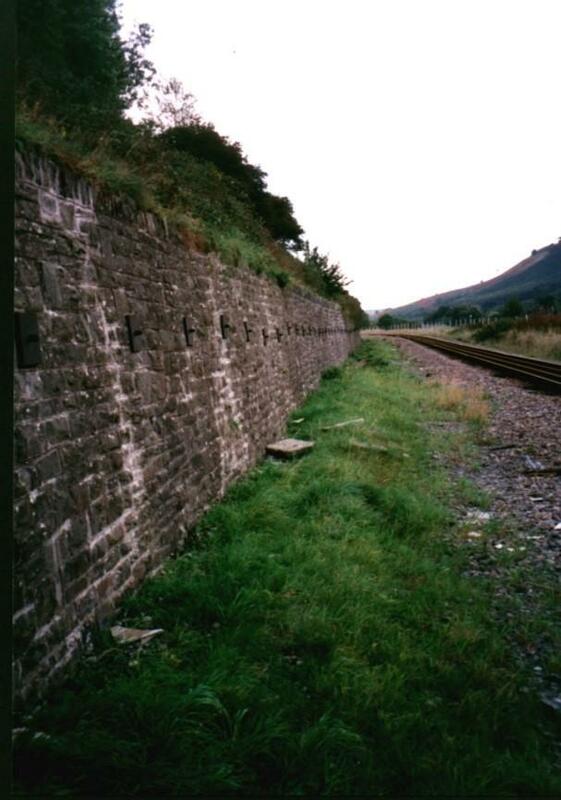 A reliable and long-term solution was required to prevent the potential collapse of an old retaining wall onto the adjacent railway track at Merthyr Vale in South Wales. 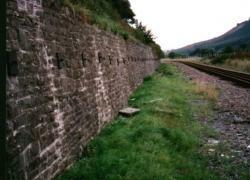 The 2.5m high random stone wall was 140m long and in poor condition. It was being repaired and repointed by John Mowlem and Co. as one of seven structural renewals and it needed stabilising without involving any expensive and disruptive track possessions or night working. 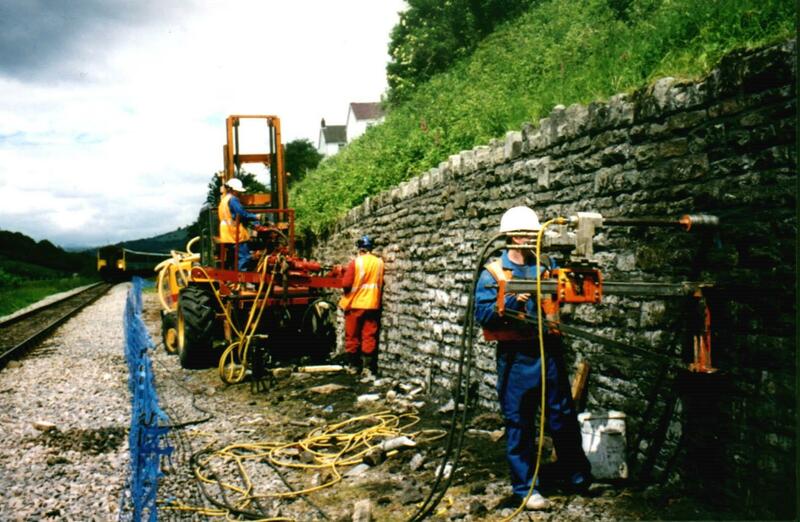 Mechanical ground anchors were specified by structural engineers, Cass Hayward & Partners, as they could be both supplied and installed by WT Group companies and would involve no disruption to rail services. Working inside a narrow allocated green zone, which was just 2.7m wide, and using a specially designed rig, WT Specialist Contracts was able to undertake all work during normal working hours while trains continued to operate. WT carefully diamond core-drilled through the wall, so as not to disrupt the weak material, before installing the anchors. 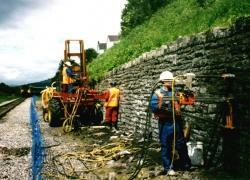 In total, 82 stainless steel mechanical ground anchors with 16mm Grip-Bars were driven 6m into the dense granular ash embankment.